It’s official: we’ll break the record for longest streak without a 5-time champion. That record is 85 games; if Ryan puts a stop to it, the current streak will end at 86. Julia Collins, whose loss put these wheels into motion, must have put a spell on the champ’s podium. Ryan is in better shape than he was yesterday, but both Michael and Emily have chances. One other thing: as I pointed out yesterday, we’ve had just one correct response in twelve Final attempts this week. To cover an all-in wager by Michael, Ryan will need to wager 6,500. An incorrect response with that wager will leave Ryan with 11,400. To stay above that total, Michael can wager up to 800. Emily must respond correctly to have a shot, so all-in is the way to go. 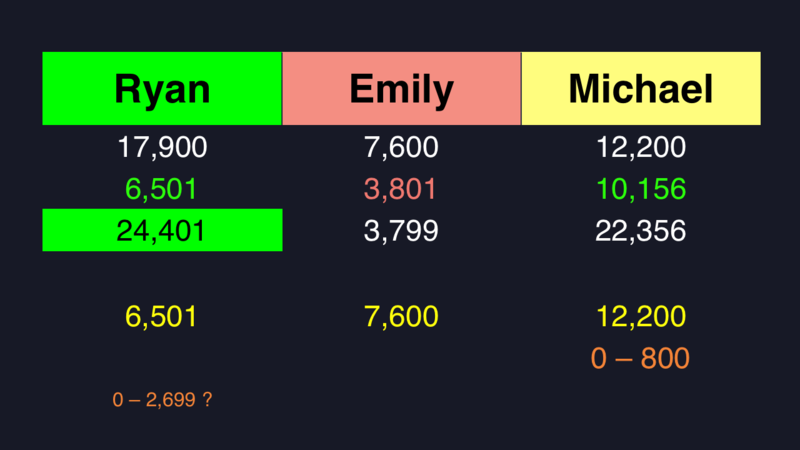 A successful doubling will put Emily at 15,200. To cover this, Michael should wager at least 3,000. That’ll put him out of contention against Ryan, though, so he might as well bet everything. Ryan could cap his wager at 2,700, but that’s likely a bad move. And that’s all she wrote. 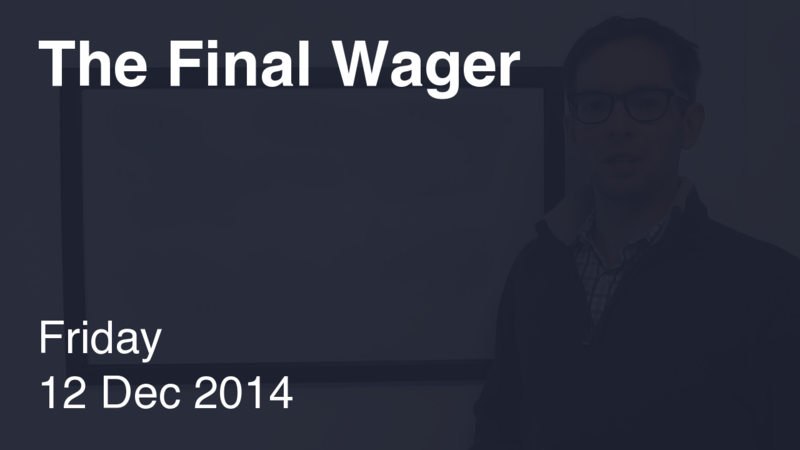 We add a dollar to the minimum wagers, and subtract a dollar from the maximum wagers. Ryan gets a “weekend” of rest; we’ll see him again on Monday as he goes for his third victory. The last to hit that win-total was another Ryan. Well, they’d end up in a tiebreaker, of course! Thanks for catching that. Have a great weekend!